Offered for many new Toyota vehicles, Toyota Safety Sense™ brings your travels an advanced level of safety. There are several security features included in the amenity that can assist in your protection, as well as your passengers, while on the road. Features offered for the amenity include the Pre-Collision System, Automatic High Beams, Lane Departure Alert, Pre-Collision System with Pedestrian Detection, and Dynamic Radar Cruise Control. The Pre-Collision System that is available will give you an alert and even apply braking if it gets sensed that there is going to be a possible front collision. With the Automatic High Beams, you will get heightened visibility from the camera that gets located on your windshield that can detect headlights and taillights from preceding cars, and intermittently change your lights to high and low beams. When you use the Lane Departure Alert, it can be useful to get a warning if you begin to depart into another lane unintentionally. Added protection gets provided with the Pre-Collision System with Pedestrian Detection and its advanced radar system that may be able to reduce the possibility of a collision. Lastly, Dynamic Radar Cruise Control can be handy for highway travel. When you use the cruise control amenity, there is also radar technology used to adjust your speed to remain at a secure distance from the car ahead. 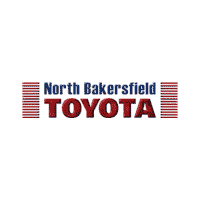 Explore the Toyota Safety Sense™ amenities more in-depth here at North Bakersfield Toyota when you check out our new Toyota vehicle selection here in Bakersfield, CA.